Branislav is an of counsel. He received his law degree from the Comenius University School of Law in Bratislava (Slovak Republic) in 1991. Before he commenced to practice law as an advocate, he worked for almost 10 years at the Bratislava III District Prosecution Office. Branislav specializes mainly in criminal and civil law and litigation. Acting as a court-appointed insolvency administrator, he managed the realization of bankrupt‘s assets in several bankruptcy proceedings. He has also advised on various corporate matters. Branislav is fluent in Slovak and Czech and has a basic command of German and Russian. 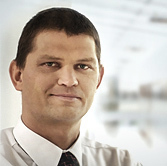 He has been entered as an advocate in the register of advocates of the Slovak Bar Association since 2000.